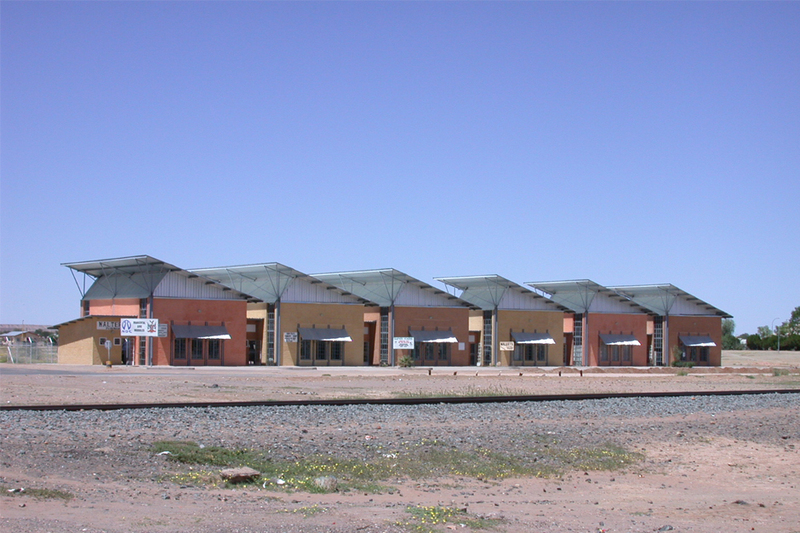 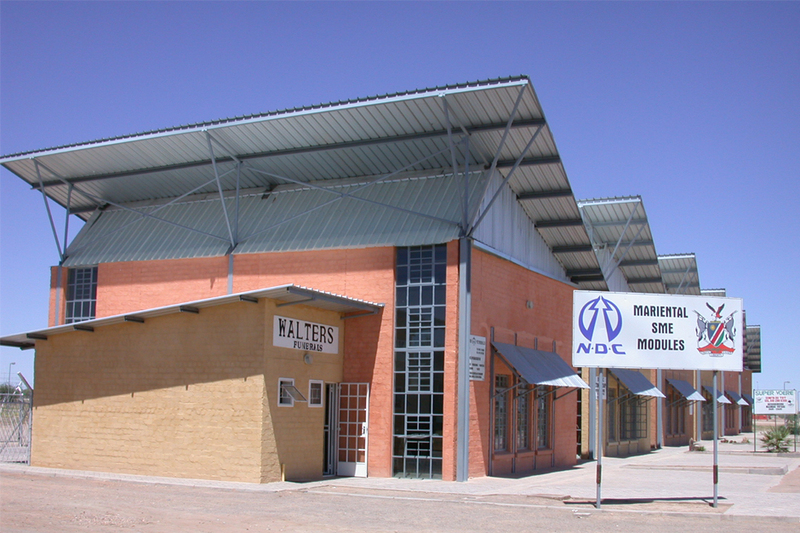 A row of six small double-volume warehouses for small- and medium-enterprise development is located in the ‘buffer’ zone between the old black township and the commercial centre to start stitching together the fabric of this apartheid –era town. 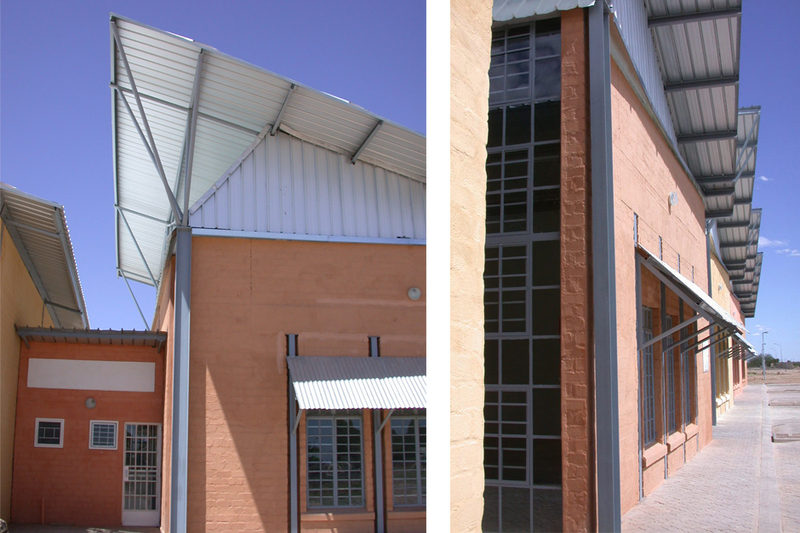 The large volumes are linked by their smaller-scale offices and ablutions in a lean-to typology typical of the context. 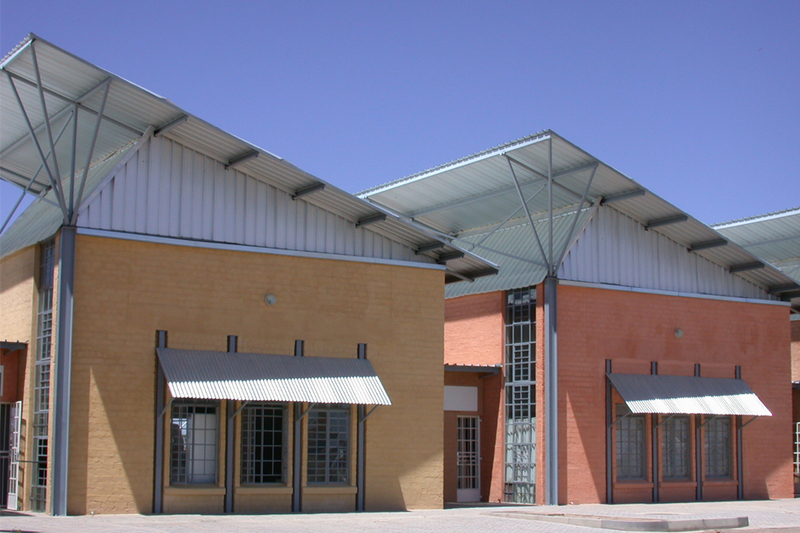 The soaring roofs brighten interior workspaces through translucent clerestory cladding, recessed for shade. 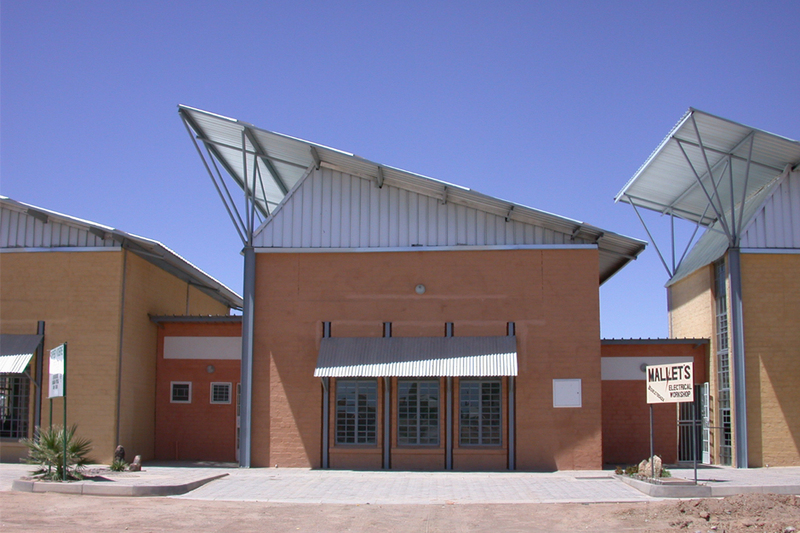 The rough texture of bag-washed cavity brickwork in desert colours sets off the grey-painted steel structures.